Geneva-based African officials are trained in how to use and take advantage of ITC’s market analysis tools. More than 30 African Geneva-based officials on 30 July participated in a training session on ITC’s market-access analysis tools. The event, which was organized by ITC’s Office for Africa, was moderated by experts from the Market Analysis and Research (MAR) section and aimed to familiarize officials working on trade issues with analysis tools such as Trade Map and Market Access Map. Participants were given an introduction and were at the end of the session able to use the tools for a number of purposes such as looking up what products their country exports or what markets their country exports to. They should also be able to look up quickly issues such as how their country is performing in international markets, whether their country has preferential market-access advantages or trade tariffs of potential trading partners. Trade Map provides users with indicators on export performance, international demand, alternative markets and the role of competitors. It covers 220 countries and territories, and 5,300 products of the Harmonized System. Trade data is also available at the tariff line level for more than 150 countries and on a quarterly basis for more than 90 countries. Market Access Map covers customs tariffs (import duties) and other measures applied by 192 importing countries to products from 239 countries and territories. ITC’s market-access analysis tools are free to use for all developing countries and territories. 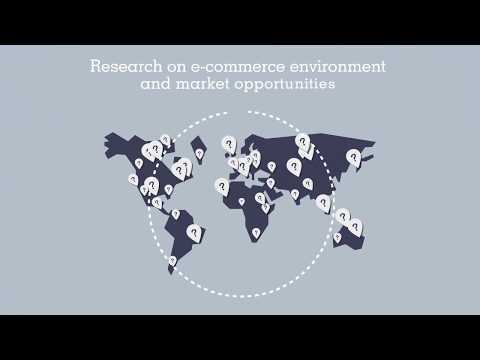 Learn more about ITC’s work on market analysis and research. Visit ITC’s Market Access Map.